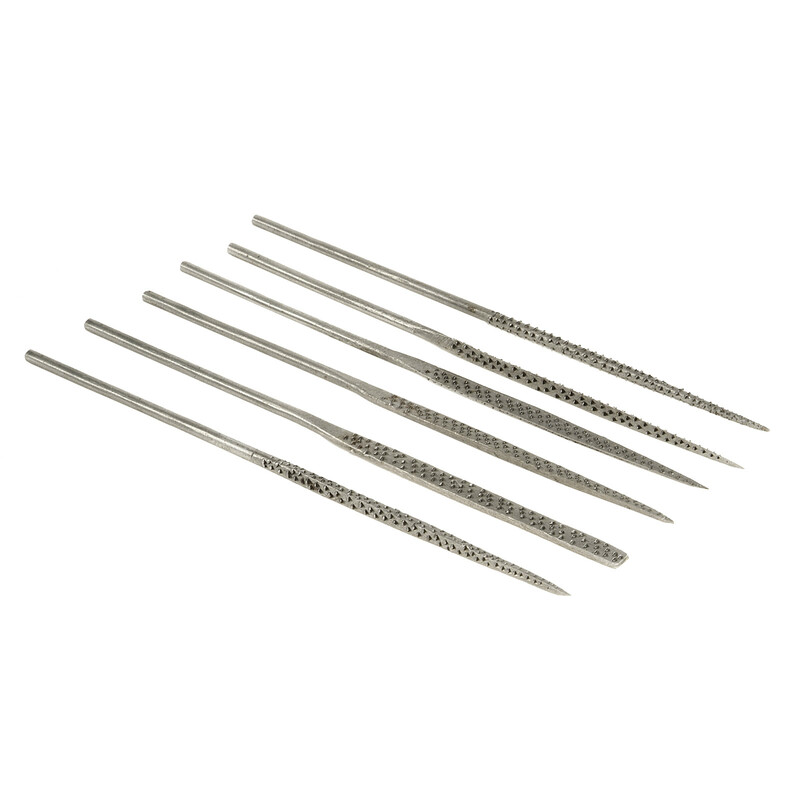 Use these rasps for quick stock removal in wood, plaster, stone, plastic, fiber and wax. 6-piece set, 1/8 inch dia. shanks. 5-1/2 inches long overall.